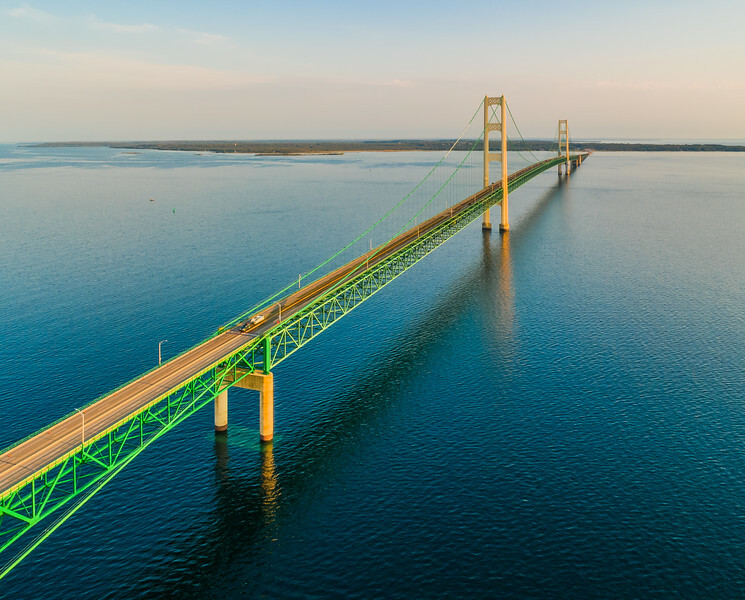 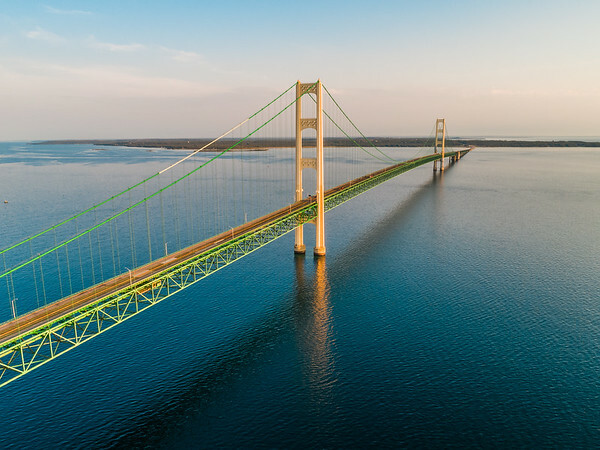 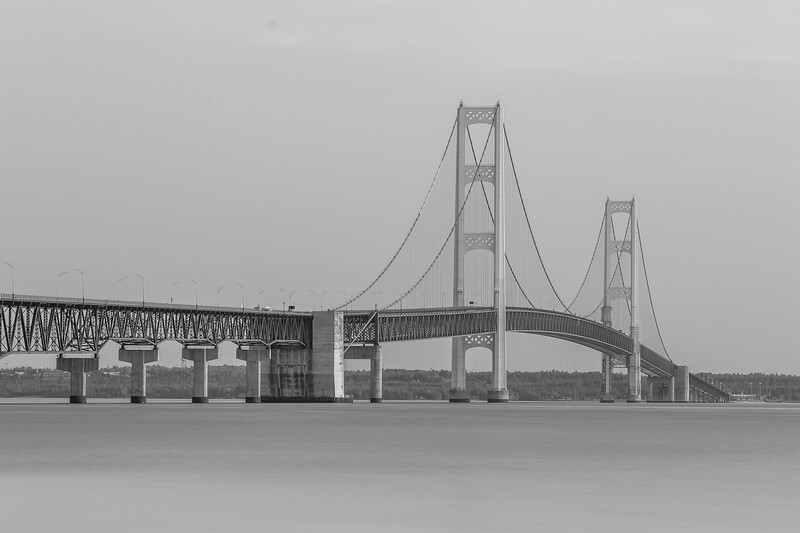 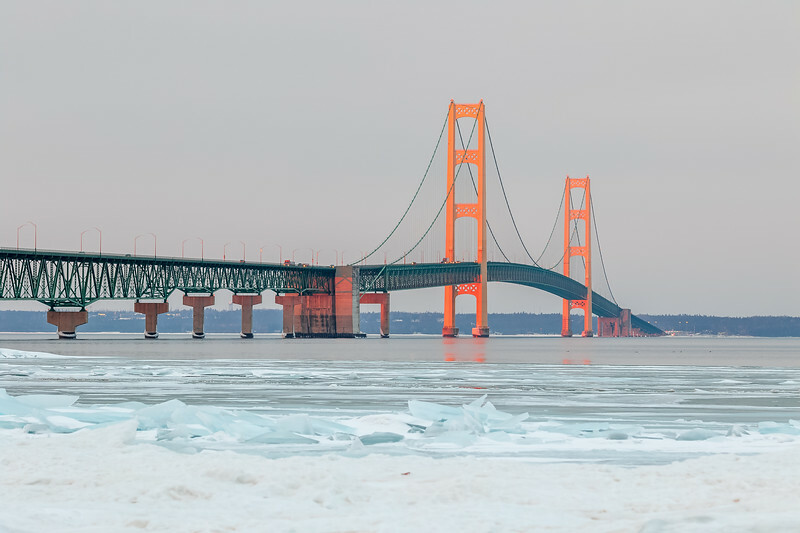 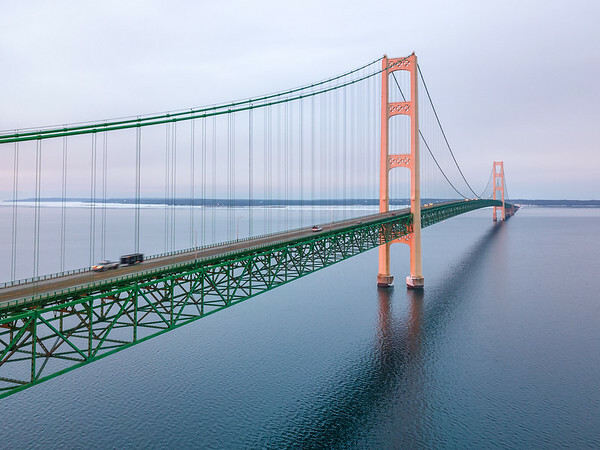 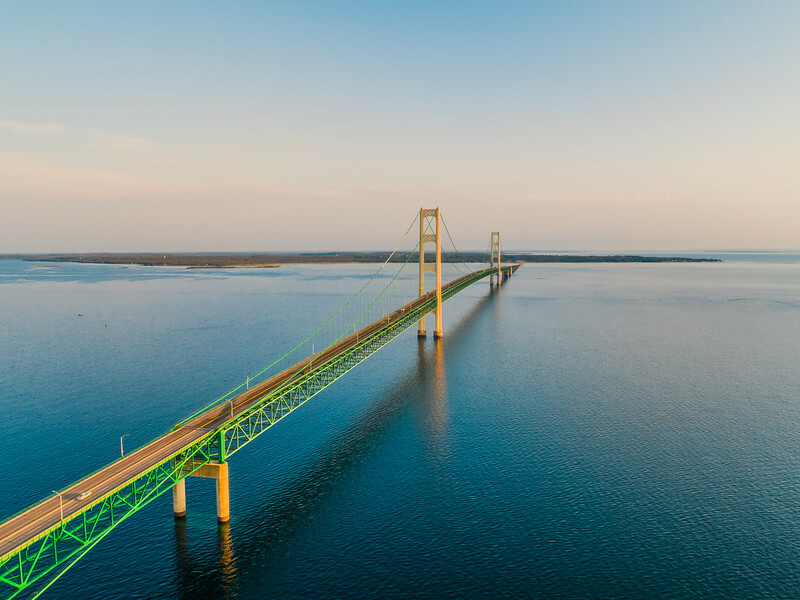 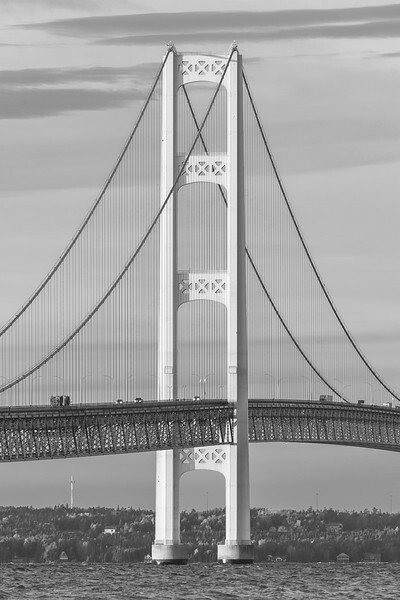 My favorite photos of the mighty Mackinac Bridge! 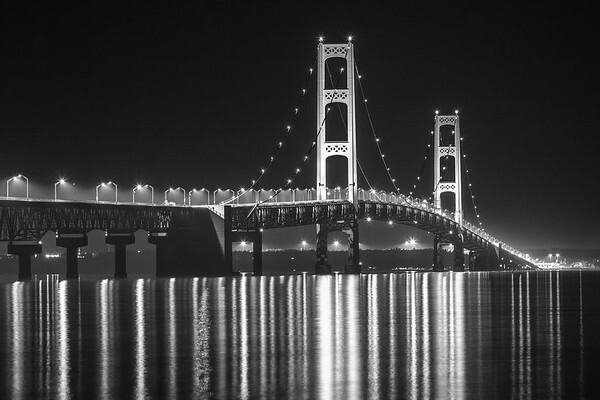 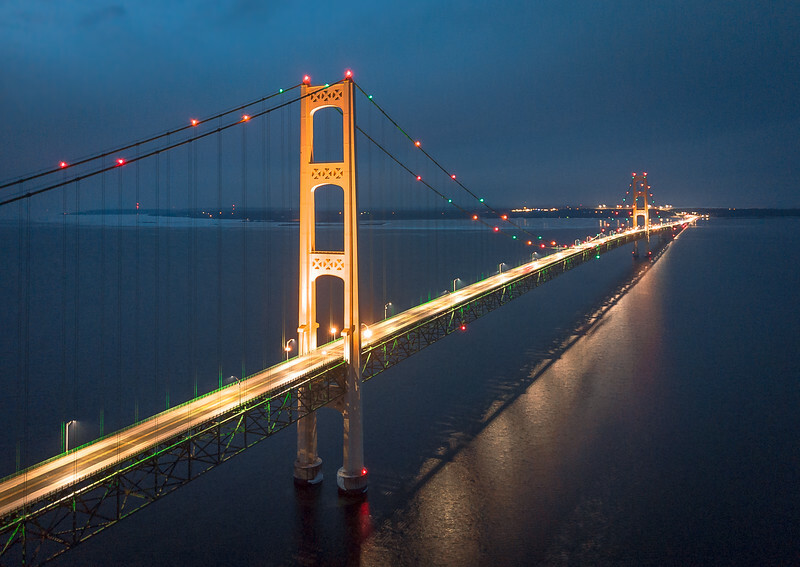 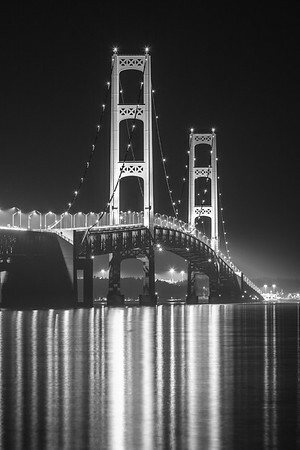 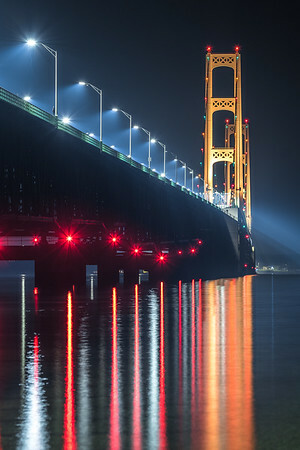 The "Mighty Mac" reflecting off the straits of Mackinac at midnight. 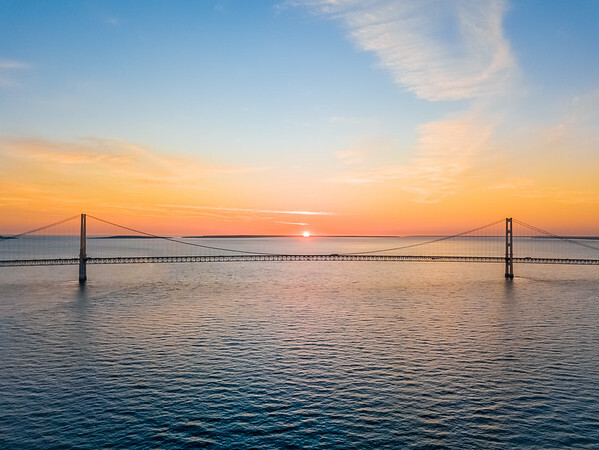 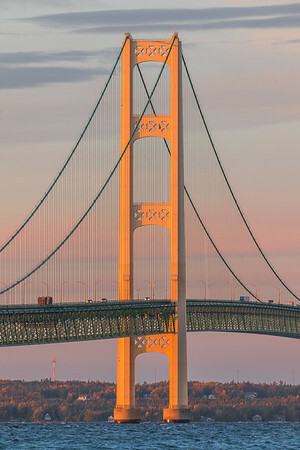 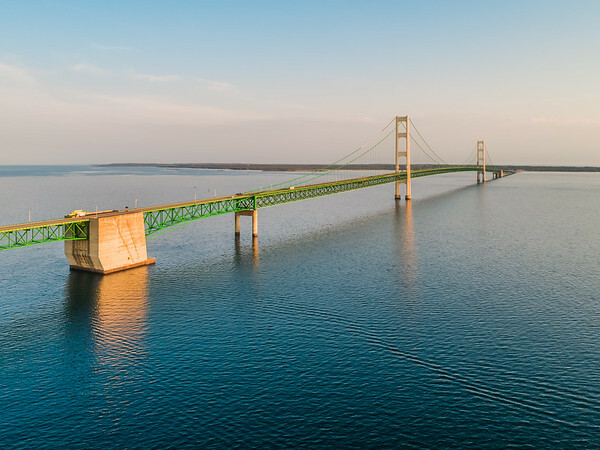 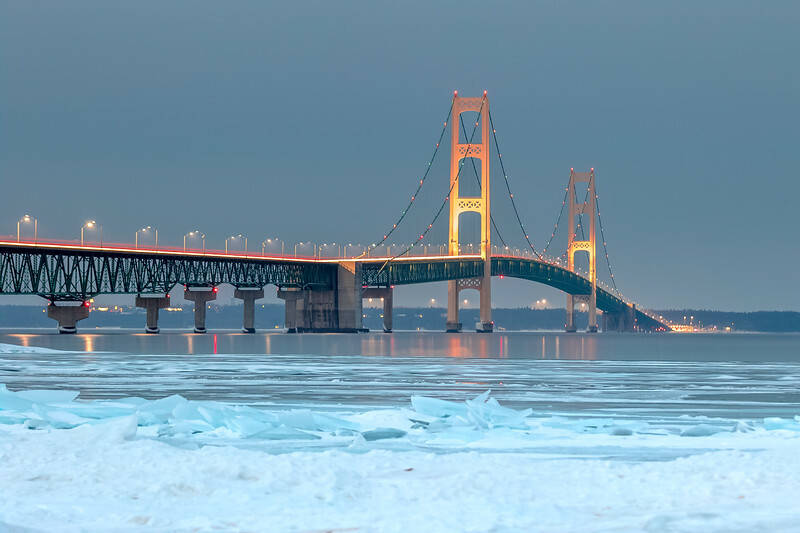 The Mighty Mackinac Bridge at sunrise.